Are you considering being a live-in nanny? A live-in nanny job is a great opportunity to connect with the kids and help a family! TLC for Kids has live-in nanny jobs in Florida and St. Louis. Take a look at our website for a list of current job openings. If you aren’t sure about being a live-in nanny read some of the benefits listed below. 1. Save Money. Being a live-in nanny allows you to put aside the money you would be spending on rent and utilities. This money can be used for tuition costs, student loans, or that dream home. 2. Commute Free Living. Living onsite means no more traffic jams on your way to work! You can live a less stressful life not being in traffic twice a day! 3. Gain Work Experience. A nanny gains a lot of experience from being a live-in nanny. The responsibilities that come with a live in nanny position can be transferred to other jobs in the future. 4. Travel. Live-in nannies are often asked to accompany the family on vacation. What a great way to see the country! To learn more about nanny jobs in South Florida and St. Louis, Missouri visit our website today! Taking care of children can be a rewarding and fun job. One TLC nanny says she loves her job working as as a nanny because, “it’s one-on-one and I really enjoy seeing the difference I can make for that one family. I like getting to know a family and being able to interact with parents to support and encourage them too.” TLC for Kids has great full time, part time and after school nanny jobs right now. Here is a brief description of some of the jobs available right now. Visit the website or give us a call 314-725-5660 to learn more and apply! 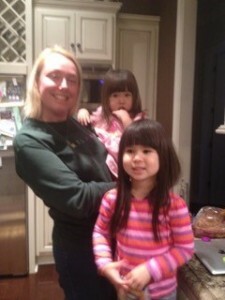 Ladue: Nanny needed Monday through Thursday 6:30-4:30 for a one year old little girl. Most be comfortable with taking the child to fun places through out St. Louis. $550-$600/wk. University City Nanny: Monday through Thursday 3:30-6:30, Friday 2-6:30. 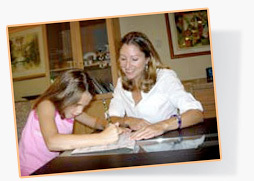 Nanny will pick up kids from school and transport to activities, help with homework and dinner. $13-$15/hr. TLC for Kids has been helping families find quality childcare in St. Louis and Florida for over 30 years. Did you know that we also place Household Managers and Personal Assistants? When kids are old enough to go to school often times families still need before and after school care. Household Managers or Personal Assistants can fit this need. The employee arrives in the morning to help get kids ready for and off to school. Then during the day they are free to do things around the house. A Household Manager or Personal Assistant has a wide range of job responsibilities that include cleaning and organizing the house, doing laundry, scheduling household repairs and maintenance services, maintaining the families schedule and running errands. In the afternoon the Household Manager will pick up the kids from school and switch to kid-related responsibilities. These include going through book bags and reading all important school work, helping with homework and projects, transporting to after school activities, and helping with dinner. On sick days, holiday breaks and school holidays the full-time Assistant is free to watch the kids. A Household Manager keeps your family and home running smoothly. To learn more about hiring a TLC Household Manager or Personal Assistant visit our website TLC for Kids or call (314) 725-5660 in St. Louis or (305) 256-5905 in Florida.